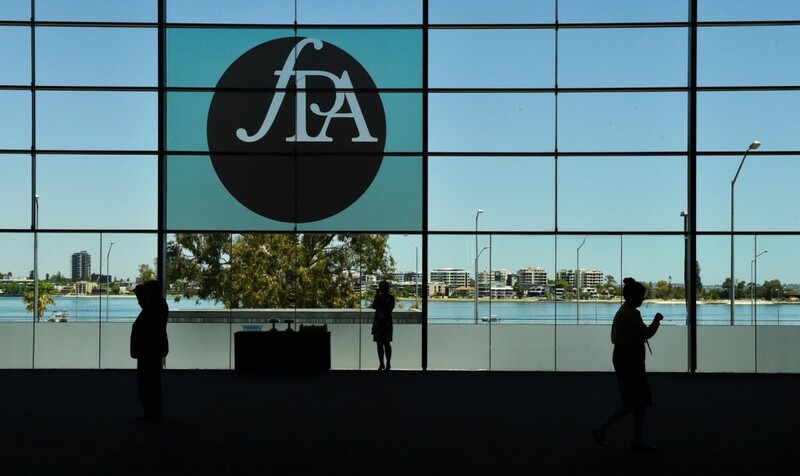 The FPA Professionals Congress is the leading event for financial planners featuring global thought leaders and expert Australian financial planning professionals. 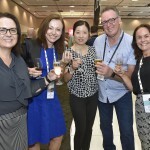 The 2019 Congress will be held at Melbourne Convention Exhibition Centre from 27 – 29 November 2019. 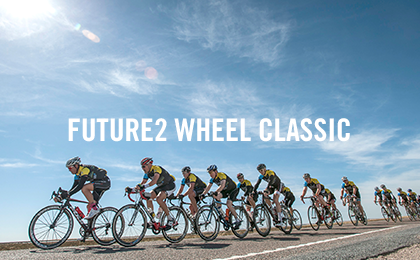 Registrations will open in June 2019. If you are interested in finding out about sponsorship opportunities for the 2019 Congress, please register here. 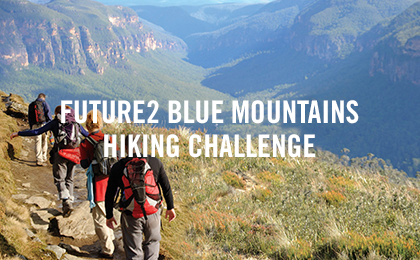 and learn from business leaders and experts from around Australia and overseas. Hear up-to-the-minute insights that will benefit you and your career development. your leadership, technical and personal development skills and knowledge as you refresh and refocus. 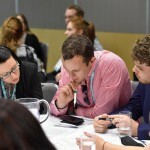 Earn up to 15 CPD hours and customise your program from a choice of 24 workshops. and share your ideas as you gather with your peers including financial planners, practice owners, managers, paraplanners and many more. It's rare I attend a conference and get something from all sessions, but this was one of them. 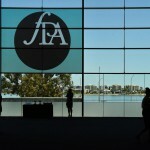 Attending an FPA Congress influences and drives you to strive for the best for your clients and your business. Most of all, it reminds you about what you do for society and makes you proud to be a Financial Adviser. 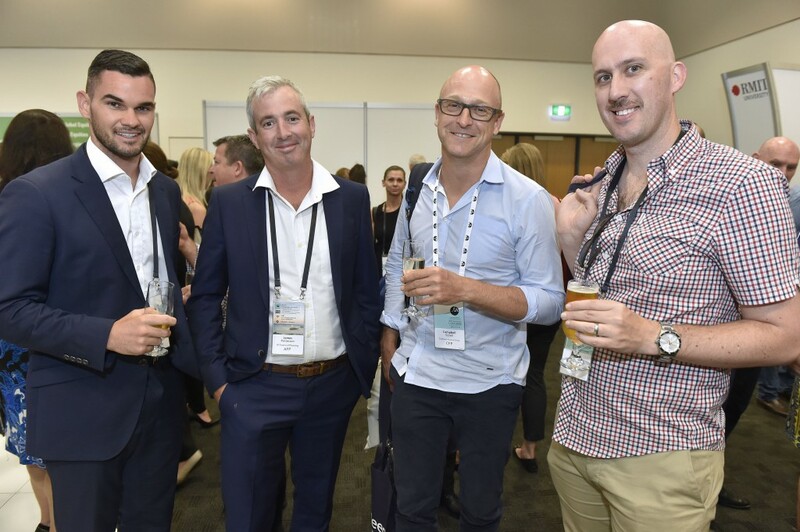 The FPA Congress is a must-attend event for all experienced and aspiring advisers! 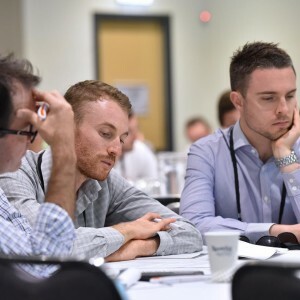 The FPA Congress delivers the ideal mix of professional development, personal development and networking that I need to be the best financial planner I can be for my clients; the best leader and business owner I can be for my team. 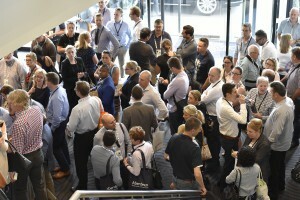 The FPA Congress provides a unique range of topics that allows attendees to choose between technical and personal development sessions. The speakers have challenged me, made me laugh and cry, taught me how to look after myself better, educated and most importantly demonstrated great ways to adapt to our ever-changing profession. 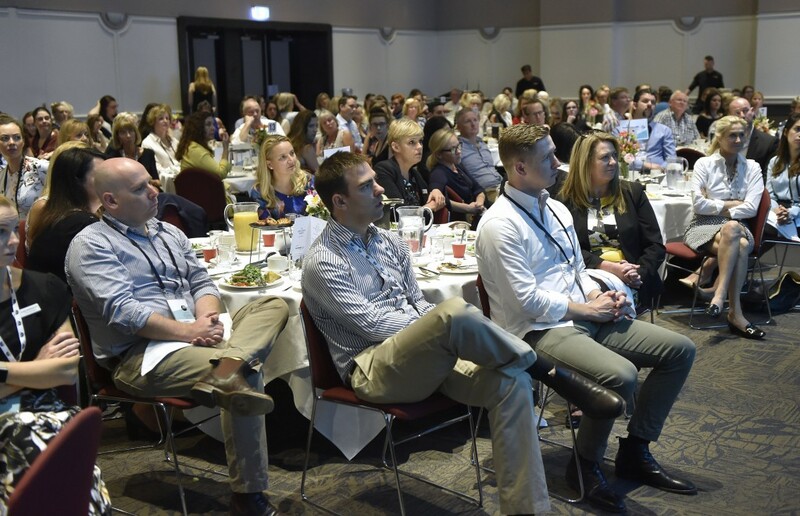 View some of the highlights from the 2017 FPA Congress in Hobart. Peter Costello AM was Treasurer of the Commonwealth of Australia from 1996 - 2007 and Deputy Leader of the Liberal Party from 1994 - 2007. He delivered twelve federal budgets including ten surpluses. In 2006, after eliminating Government debt in net terms, Mr Costello established the Australian Future Fund of which he is currently Chairman. He is also Chairman of the Nine Entertainment Corporation. How we earn, use and cultivate trust defines our profession. With Effie Zahos as MC, thought leader Stephen M. R. Covey will appear via live satellite to share insights from his global best seller - The Speed of Trust. 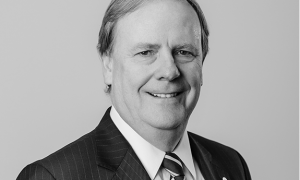 Business and policy leader, Peter Costello AM will reflect on the future economy. 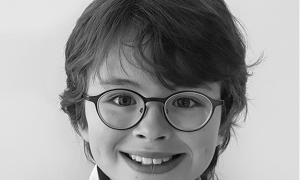 And we will introduce a young future leader, Finn Vicars, who will open your mind to the potential of the future. Stephen M.R. Covey is the bestselling author of The Speed of Trust and former CEO of Covey Leadership Center, which, under his leadership, became the largest leadership development company in the world. He led the strategy that propelled his father Dr Stephen R. Covey’s book, The 7 Habits of Highly Effective People to become one of the world’s most influential business books. Finn is a nine year-old student who wants to make the world a better place. He was one of the talented Australian children recently featured on ABC TV’s Making Child Prodigies series. With an IQ of over 130, he is passionate about science, the environment and the economy. Finn recently met with Malcolm Turnbull to present him with a draft document for legislation to reduce our carbon footprint through water harvesting, recycling, utilising renewables and growing more of our own food. Effie has been editor of Money magazine since 1999. Starting as a graduate trainee for one of Australia's major banks, she moved to TV in 1997 as head researcher for Channel Nine’s Money show. 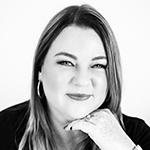 Effie now specialises in consumer banking issues and writes for a number of lifestyle magazines including Real Living and Qantas. She is a regular finance commentator on TV and radio. Effie is also the author of The Great $20 Adventure, a picture book designed to teach financial literacy skills to children. Founder and President - Advisor Insights Inc.
Mitch Anthony is recognized around the globe for his pioneering work in life-centred planning. He is the founder and president of Advisor Insights Inc., The Financial Life Planning Institute, ROL Advisor, and Life-Centered Planners (U.K.). Mitch is the author of many groundbreaking books for advisors and consumers, including bestseller Storyselling for Financial Advisors, cited by Financial Advisor magazine as the number one “must-read” book for financial professionals and Your Clients for Life. US-based financial services expert and author, Mitch Anthony, will discuss the meaningful role you play in your client’s life. He calls it ‘Life-Centred Planning’: a discovery process that focuses on who the client is instead of their assets. This will be Mitch’s first Australian appearance. Additionally, Dante De Gori CFP®, FPA CEO, will interview Stephen Glenfield, the new CEO of FASEA on the impending changes to standards for financial planners. Dante De Gori is the Chief Executive Officer of the Financial Planning Association (FPA). A proud CFP® professional, Dante is passionate about advancing the financial planning profession, supporting FPA members through change, working with education providers to foster the development of the next generation and building widespread consumer trust. 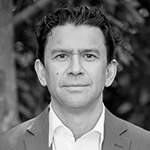 Dante was appointed as a Director of the Future2 Foundation in 2016. Prior to commencing this role on 1 March 2016, Dante spent five years as General Manager, Policy and Conduct at the FPA. During this time, he developed a deep understanding of the complex issues in financial planning and the diverse needs of FPA members. In this role, Dante led the FPA’s proactive policy and government relations strategy, participating in key Parliamentary Inquiries, Government Committees and Treasury Working Groups. He also led the formulation of countless FPA policy submissions and has been responsible for overseeing the professional conduct and accountability of FPA members and FPA Professional Practices. 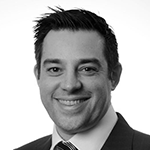 Dante has 16 years’ experience within financial services. Prior to joining the FPA, he worked in various Adviser support, compliance and technical roles with a number of organisations such as ClearView Financial Management, Zurich Financial Services and Asteron Life (Suncorp). Dante’s qualifications include a Bachelor of Commerce (majoring in Finance), a Graduate Certificate in Politics and Policy, a Diploma in Financial Planning, is currently completing a Graduate Certificate in Law (ANU) and is a member of the Australian Institute of Company Directors. He has also completed the CERTIFIED FINANCIAL PLANNER® certification program, the gold standard in financial planning. 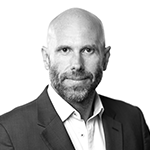 Stephen has worked in financial services regulation for over three decades, most recently as a general manager within the Australian Prudential Regulation Authority (APRA). As well as his managerial responsibilities, Stephen was Chair of the APRA’s Superannuation Industry Group. He has also worked with the International Organisation of Pension Supervisors, the Victorian Financial Institutions Commission and KPMG. Stephen holds a Bachelor of Economics from Monash University and is a member of the Chartered Accountants Australia and New Zealand. 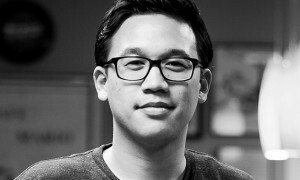 Alex Sheen is the founder of because I said I would, a social movement and nonprofit dedicated to bettering humanity through promises made and kept. Sparked by the loss of his father, Alex and his organisation send “promise cards” to anyone anywhere in the world at no cost. Alex is someone who truly honors commitment. He once walked over 240 miles across the entire state of Ohio in 10 days to fulfill a promise. Since his father’s passing on September 4, 2012, because I said I would has sent over 4.47 million promise cards to over 150 countries. The promises written on these cards have made headlines around the world. His charitable projects and awareness campaigns have been featured on ABC World News with Diane Sawyer, CBS Nightly News, Fox News, CNN, The Today Show, Good Morning America, NPR, The Los Angeles Times, and many other programs. He has also been featured on the cover of Spirit Magazine, honored as a Steve Harvey “Harvey’s Hero” and was the closing TED speaker at TEDxUtica and [email protected] Alex’s efforts in social media were featured in BuzzFeed’s “Most Important Viral Videos of 2013 and have made the #1 spot on the front page of Reddit.com over 10 times. Alex Sheen’s commitment to the betterment of humanity has inspired millions. His ‘promise cards’ are shared virally around the world as a sign of commitment to making a difference to others and yourself. Alex will make his first Australian appearance at Congress. He’ll be joined by Michael Crossland who will share his discovery that success in life has little to do with what we gain or take, but what we give back to it. 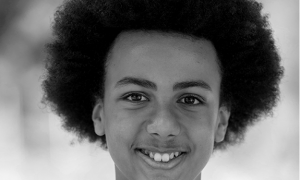 We will also hear from Solli Raphael, an internationally recognised teen writer, slam poet and activist, who believes that we can all work together to create equality across all levels of humanity. Michael Crossland is an accomplished businessman and athlete and National Ambassador for Camp Quality who has built and established an orphanage and school in Haiti. He has featured on ABC TV’s Australian Story. At just 13 years old, Solli is an international author, activist and youngest ever poetry slam competition winner having won the 2017/18 National Australian Poetry Slam Championship title in an all-adult competition (the video of his winning performance subsequently went viral with 3.6 million views). His debut book, Limelight, explored how he develops writing ideas and how to write traditional and slam poetry and how to perform on any stage. Solli is passionate about raising awareness of social, environmental and global issues. Fenella is responsible for leading the programming for TEDxSydney, which has become one of the largest TEDx events in the world, as well as [email protected], TEDxSydney's Salon series and Pitch Nights. She is a noted TV and radio presenter and has hosted programs on ABC TV and SBS TV. She is currently working on a new podcast, Lumina, through the Australia Film Television and Radio School which will be released in late 2018. 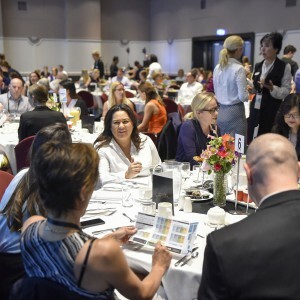 The FPA Women in Wealth breakfast is a great opportunity to connect with your peers as you enjoy breakfast and an inspiring start to the final day of the Congress program. 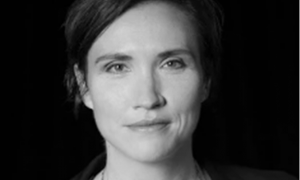 This year’s guest speaker is Fenella Kernebone, Head of Curation, TEDxSydney. As lead programmer for one of the largest TEDx events in the world, Fenella knows that great listening skills are vital for a successful professional and personal life. She will encourages us to ‘listen like you mean it’ and will share some of the skills you need to be a great listener, have great conversations and make a difference to your colleagues, clients, friends and family. Everyone is welcome to attend this event. 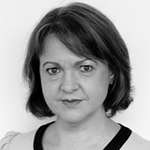 Amanda Cassar has been in financial services in Practice Management roles since 1991 and advising since 2001. She is on the Advisory Board of her Licensee Financial Services Partners and sits on the Queensland Development Board of The Hunger Project. She has blogged regularly for CEO magazine, maintains her own blog at financechicks.com and is most recently author of Financial Secrets Revealed. Aged care: blessing or burden? Aged care specialist Louise will be one of three specialists facilitating this workshop that will equip you to prepare your practice for aged care advice including residential options; recognising elder abuse and preparing your practice to provide aged care advice. 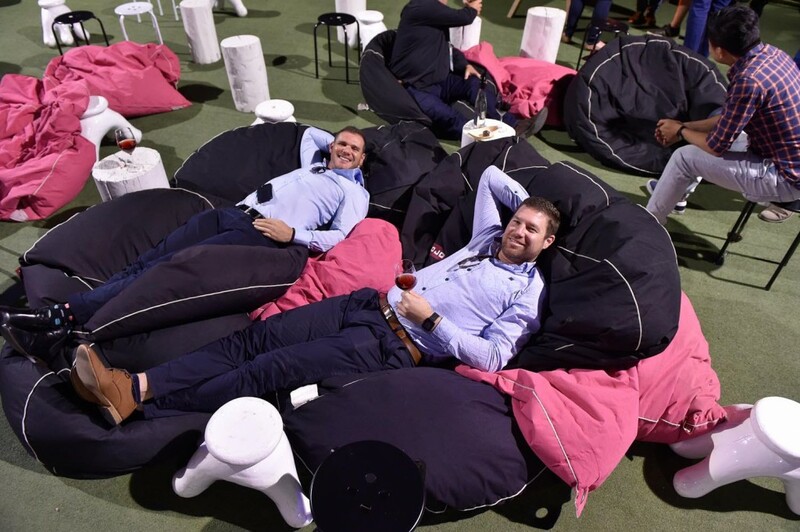 Andrew is a partner of KPMG’s Performance Clinic assisting organisations to enhance productivity, well being and employee engagement through the high performance of their people. He began his career as an elite middle distance athlete before studying exercise physiology and sports coaching, and author several books. He writes ‘Performance Matters’ for The Sydney Morning Herald and The Age, has a regular segment on ABC News Breakfast. Andrew will share his learnings on how to effectively negate the biological decline of the body and brain and continue performing at your best both on and off the job. 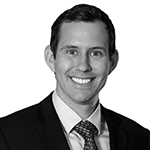 Andrew Whelan joined Milliman's Australian practice in 2018 and is responsible for the development of retail and wholesale partnerships nationally with a key focus on financial advisers and their dealer groups. Andrew has 19 years’ experience in the financial planning market and joins Milliman from CCUBE Integrated Wealth where he held the position of General Manager, Sales and Marketing, responsible for all business through the adviser channel. This followed a lengthy tenure with Morningstar Australasia where he held several roles, finishing as Head of Wealth Sales and Solutions. Andrew has been advocating for a shift towards goals based advice within financial planning practices since 2011. Goals based advice – a movement or financial planning? This workshop will focus on how to build client centric advice. Many of the ways in which a financial planner added value to their client relationships have now become automated, so the focus on qualitative aspects, like behavioural coaching have become important. Behavioural coaching, building trust which is currently in short supply and engaging in conversations that are relevant to your client will all be covered in this workshop. 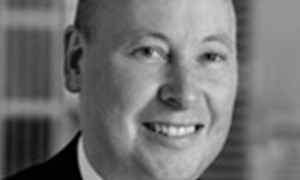 Andy Marshall has been in financial markets since 1988. He is passionate about advice and advisers, and seeks out insights into what the modern and future advice customer wants and how advisers can deliver experiences that drive advocacy and loyalty. Recently he packaged these insights into a client engagement handbook, Client Engagement for Financial Advisors. A second project livingyourdreamlife.org and second book is gaining momentum starting with a global survey about how we feel about key areas of our lives. Anne Graham CFP® is one of the leading financial planners in Australia, having built a career in financial services over 30 years. 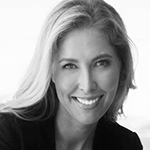 She is partner and CEO of Story Wealth Management. Her main area of interest is helping clients plan and manage their retirement. Anne believes in the importance of education and has attained Certified Financial Planner® status, is a CPA and has earned a Masters in Applied Finance. She is proud to be a Trustee of the Future2 Foundation, a member of the Securitor Professional Adviser Council and Deakin University Dept of Accounting Advisory Board. 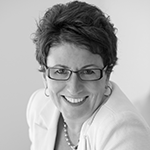 Anne has been recognised as a leader by her peers receiving various awards including: Barron’s Top 50 Advisers in Australia; FPA Distinguished Service Award; FPA CFP® Professional Best Practice Award (Vic) and National Adviser of the Year for Securitor Financial Group Vic 2011 and 2015. She was also the first female winner of the Money Management Financial Planner of the Year award. On a personal level, one of Anne’s major accomplishments was to climb Mt Kilimanjaro in 2016 raising over $28,000 for the Future2 Foundation. Managing conflicts of interest was at the heart of some of the issues highlighted in the Financial Services Royal Commission (FSRC). This workshop will explore separating product from advice and what ASIC considers a reasonable fee structure to on-board and service a client. 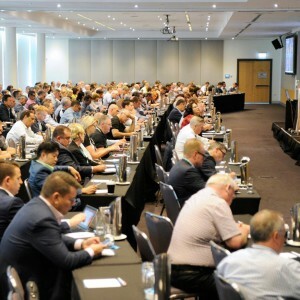 Hear from speakers include representatives from Australian Securities and Investments Commission (ASIC) and Australian Financial Complaints Authority (AFCA), a legal practitioner, compliance manager and a practitioner who has moved from an asset based fee structure to a successful fee for service structure and how conflict is managed. Anthony Laye is one of Australia’s leading human behaviour experts and mentalists. He says that with words accounting for just 7% of communication, you could be missing out on the remaining 93% of your communication tools. He believes that quality of life is directly related to one's ability to make effective decisions and build quality relationships. Anthony understands human behaviour, how information is shared, and how influence is won and lost every day. 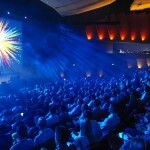 Audiences are empowered with simple and easy to follow tips on how to become more engaging, memorable and influential. You don't need to be a mind reader to build rapport and gain influence. The right mindset, and the ability to connect with people is the answer to hearing YES more often. 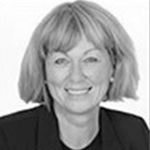 Dr Attracta Lagan is a leading Australian business ethicist who has advised Boards and CEO’s in both the corporate and not for profit sectors, as well as working extensively with both state and local government. She is a pioneer of corporate social responsibility and sustainability in Australia and challenges business leaders to develop positive values led workplace cultures that balance what is good for business with what is good for society. 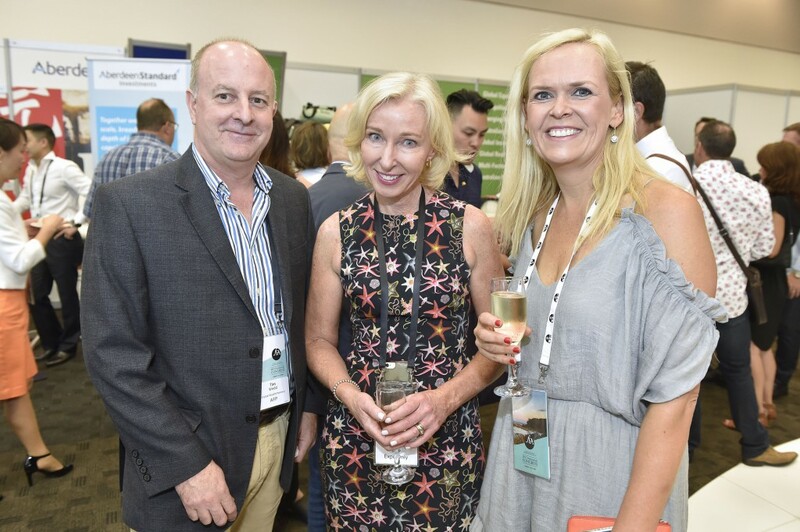 Attracta was a founding Director of the Australian Futures Foundation and a member of the Stake-holder Adviser Committee of the Australian Minerals Council providing guidance on minimizing and managing the social and environmental impacts of the industry. Prior to establishing Managing Values, she helped establish the St James Ethic Centre as Founder Director, Consulting before heading up KPMG’s national Sustainability and Business Ethics Practice. Attracta will look at the forces driving or hindering organisations to adopt a ‘profits with principles’ orientation and the role of ethical leadership. 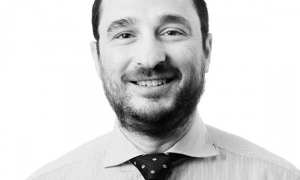 Ben Marshan’s teams are responsible for the FPA’s advocacy and government relations; professional standards; conduct; professional practice program; and academic relations. Before commencing as Head of Policy and Standards in July 2018, Ben spent two years as Head of Policy and Government Relations, and six months with the FPA as Professional Standards Advocacy Manager. He has a further ten years’ experience working with the FPA on member committees and working groups and spent nine years at State Super Financial Services (now StatePlus) as a Financial Planner and Senior Manager, and 18 months as KPMG’s financial advice subject matter expert. Ben holds the CFP® designation and LRS® Life Risk Specialist designation, as well as a Masters of Commerce in Financial Planning. He also holds a Bachelor of Science with first class honours. In 2017, FPA launched a special report and resources to assist members in mapping fintech to the financial planning process. This year, we are excited to release the next stage of the project including a practice efficiency/ cost calculator, advice to assist you to purchase technology and FPA’s technology due diligence tool. At the workshop, Stewart Bell will discuss the process for designing a technology stack for a financial planning practice, and Vincent Holland AFP® will share the process his practice undertook to put in a place a new technology stack. Bryan Ashenden leads a team of professionals committed to supporting the adviser community with technical, regulatory, and policy support. 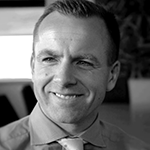 Bryan has many years’ experience in leading and delivery comprehensive technical solutions to advisers and their clients, the last 17 spent with BT Financial Group. The opportunity to use superannuation as the exclusive tax effective structure to fund clients’ retirement income needs has been eroded since the 1 July 2017 changes. This workshop will look at alternatives to the superannuation structure to create wealth for your clients – and under what circumstances they are appropriate to use - including investment bonds, gearing, the use of franking credits and trust structures. Carl Richards is a certified financial planner and the creator of the weekly Sketch Guy column in the New York Times and is a columnist for Morningstar Advisor. Carl has also been featured on Marketplace Money, Oprah.com and Forbes.com. In addition, Carl has become a frequent keynote speaker at financial planning conferences and visual learning events around the world. Through his simple sketches, Carl makes complex financial concepts easy to understand. His sketches also serve as the foundation for his two books, The One-Page Financial Plan: A Simple Way to Be Smart About Your Money and The Behavior Gap: Simple Ways to Stop Doing Dumb Things with Money (Portfolio/Penguin). Carl’s art appeared in a solo show at the Kim-ball Art Center, in Park City, Utah. Other showings include The Parson’s Gallery in New York, The Shultz Museum, and an exhibit at the Mansion House in London. His commissioned work is on display in businesses and educational institutions across the country. He lives with his family in Park City, Utah. Returning by popular demand and with whole new focus, Carl will ask us to consider that as financial planners, we’re perfectly positioned to change the world, one client conversation at a time by constantly building trust and helping people make smart money decisions and reach their goals. Charlotte Thaarup founded The Mindfulness Clinic in 2008. 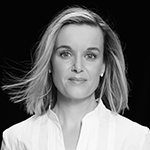 She is a clinical mindfulness consultant and educator, with her Mindful Leadership program has been researched by Macquarie University with her Six Mindful Steps to Loving the Body and Freeing the Mind currently being researched through Western Sydney University. In a time when the pace of life is more hectic than ever, where the customer is looking for someone who is consistent and whom they can trust, how do you remain emotionally consistent, calm, and able to make sound decisions grounded in clarity and foresight? How do you balance the need for mental agility with the need to be consistent, empathic and anchored in a strong values base? In this session you will be introduced to the ancient practice of mindfulness and the science and research behind it. Experience and science tell us that mindfulness is not only an essential tool but also a framework to help cultivate the best in us. You will walk out with insight, tools and ways to find your calm in the midst of chaos. Chelsea Pottenger, a former Division One basketball athlete and top performing corporate executive for Johnson and Johnson, was hit with Post Natal Depression in 2015. Chelsea founded EQ Consulting Co. in 2016, driven by a passionate belief in the need for businesses to invest in the psychological wellbeing of their people. Chelsea is an internationally accredited Mindfulness and Meditation practitioner and is the ambassador for R u Ok? and The Gidget Foundation Charities. Chelsea will lead a workshop looking at the neuroscience behind stress, anxiety and rumination. You’ll learn mindfulness tools including journaling, cognitive-behaviour therapy, growth mindset and meditation to calm anxiety. Christine Bau specialises in providing HR consultancy services to the financial planning and related sectors. She has spent the last 15 years working across all facets of HR. With a passion for enhancing employee capability and a belief that clear expectations and regular feedback conversations are the essence of a great culture and workplace, Christine advocates a coaching based approach. She works with business leaders, managers and employees to develop practical solutions. This workshop will connect paraplanners as well as anyone new to the financial services industry with their career potential. Part 1 will consider ‘Where to next in my career? It will investigate the skill set requirements of a paraplanner compared to a financial adviser. It will also examine how to align to the appropriate work environment to maximise your potential. Part 2 tackles the ‘great paraplanner dilemma’ of creating a compliant yet effective Statement of Advice (SoA). It will examine the legal requirements of a SoA and what can be excluded so client understanding is improved but not compromised. It will review the provision of compliant and effective replacement of product analysis and tips to improve the para/adviser working relationship as well as improve the quality of advice documents. Claire Mackay is an independent financial advisor and business owner at Quantum Financial. She developed her investing skills at Macquarie Bank and PwC . In 2018, she was appointed to the inaugural Board of the Australian Financial Complaints Authority and recognised by Barron’s as one of the Top 50 advisors in Australia. Claire is a director of the Accounting Professional and Ethical Standards Board and is the only financial planner who sits on the Australian Tax Office’s peak superannuation representative body, the SIRN. This workshop will equip you to better understand the Australian Financial Services Licence (AFSL) process, specify a Responsible Manager’s ongoing compliance obligations, analyse the positives and negatives of running your own AFSL, identify ASIC’s requirements for suitability to be a Responsible Manager and consider ASIC’s views on individual licensing. Clare Payne, EY Fellow for Trust and Ethics, is a leading voice on ethics in society. She tracks trends and writes about their implications in her monthly Ethical Lens column in The Australian Financial Review BOSS Magazine and is the co-author of A Matter of Trust – The Practice of Ethics in Finance. 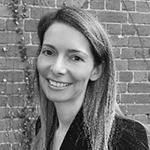 Clare is a former employment lawyer and managed the Integrity office of a global investment bank. Prior to the global financial crisis, Clare’s paper titled, ‘Ethics or Bust’ was awarded the inaugural Ethics & Trust in Finance Prize by the Observatoire de la Finance, Geneva. 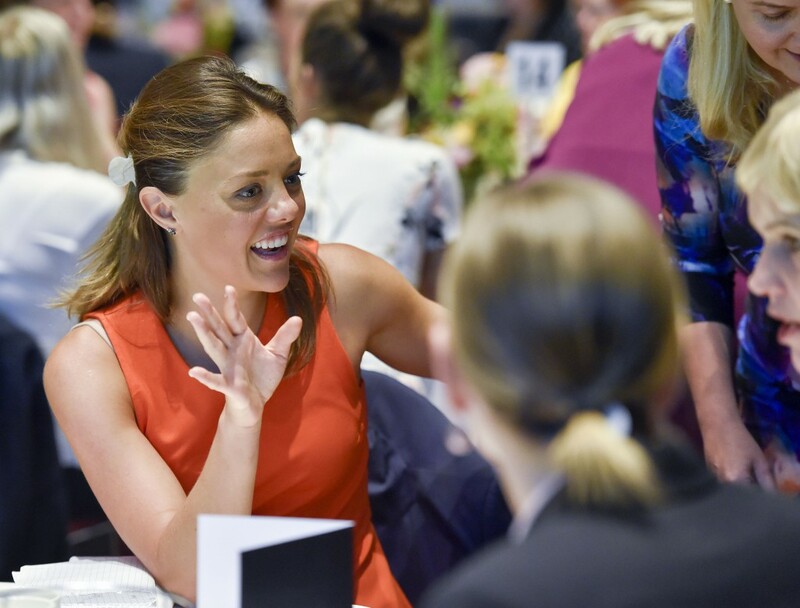 Clare was recognised as a World Economic Forum Young Global Leader in 2014 and as an Australian ‘100 Women of Influence’ in 2016. In this session, Clare Payne, EY Fellow for Trust and Ethics, will put an ethical lens across finance. From the big picture, asking what role finance should play in the world to the practices that can enhance trust and meet changing expectations. Daniel is the Director, Empathic Consulting. With a long career solving some of the most complex and sensitive strategic challenges for Australia’s biggest Financial Services organisations, Daniel is able to bring clear business acumen to areas that are usually considered the ‘soft skills’. His passions are leadership, empathy and employee engagement. Daniel believes that every business has a huge untapped potential of disengaged humans just waiting for leaders to step up and bring them to life. Blending his background in mathematics and strategy, with a deep understanding of emotions, neuroscience and behavioral economics, Daniel has become an expert in building the capabilities tools to embed empathy, engagement and performance in business. Like few others, Daniel blends diverse concepts through simple yet engaging stories to share groundbreaking ideas and tangible frameworks. 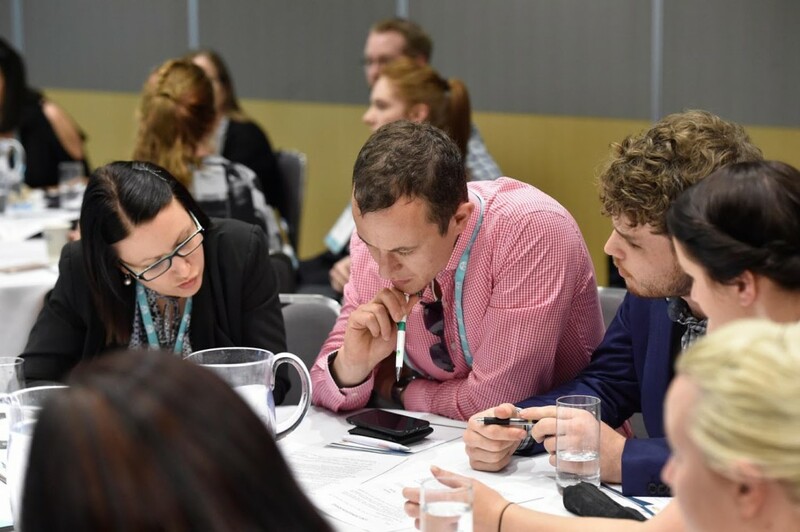 Daniel has delivered keynote presentations to some of the top organisations and conferences in Australia, such as: CBA, Westpac, AGSM, IAG, Centre for Volunteering, Community Engagement Consulting Australia, 1Scope, Serenity Collective and Humanity in Business. 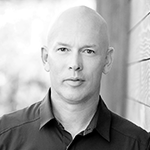 Daniel is passionate about embedding empathic leadership tools in business. He’ll take us on a journey through the brain to help you develop the processes and tools to build the relationships you need to be ethical, authentic and successful in your practice. 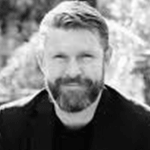 Darryl Browne is an Accredited Specialist in Wills and Estates, a Fellow of the Australian Institute of Company Directors, a member of STEP, the global society of trust and estate practitioners, and a Notary Public. He is a Councillor of the Law Society of NSW and Chairs its Elder Law, Capacity and Succession Committee and facilitates the Elder Abuse Working Group. 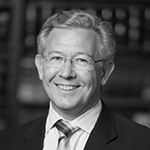 Darryl is also chair of the Law Council of Australia’s Elder Law and Succession Committee. He is a member of the State government’s Steering Committee on preventing and responding to elder abuse. Capital Partners was awarded FPA’s Best Professional Practice in 2017 and has been a fee-based financial planning firm since 1999, providing comprehensive financial planning and wealth management services. The firm is owned by 11 principals and has a team of 28. David Andrew is motivated by a deep commitment and belief that real wealth management changes peoples’ lives in a positive way. Everything Capital Partners does is based on this belief. He is also the author of Wealth with Purpose: A Common-sense Guide to Wealth, Investing and an Inspiring Life, a book that seeks to change our attitudes to the way we deal with money. By changing the focus from product, price and performance to values, goals, planning and outcomes, David believes investors will get better results and will also be more inspired and fulfilled. Professional Practice Workshop: how sale ready is your business? This three-hour workshop brings together business consultants who specialise in succession planning and practitioners who will share their knowledge of transitioning their businesses. This will be a dynamic, practical workshop that will assist you understand the commercial value and value drivers of a financial planning practice, as well as prepare you to be ‘sale ready at any stage of your business’ growth. David Braithwaite is a financial planner and BBC radio presenter. He is owner of Citrus Financial in the United Kingdom and specialises in looking after clients in the public eye. David’s motto is: “Do what you can’t!”. He says that if it doesn’t scare you, you probably aren’t dreaming big enough. In this workshop, David will examine the psychology of fear and how what we think scares us is really the rocket fuel to a brighter future. 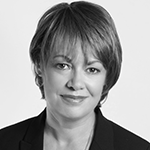 Debra McQuinn is recognised as a highly experienced specialist Human Capital consultant to the Australian financial planning and related professional services sectors. Commencing her management career in merchant banking, Debra has some 20 plus years consulting experience supporting financial planning practices - with a focus on recruitment process improvement, team performance initiatives and executive coaching for emerging leaders and business owners. This workshop will assist you to be recognised as an ‘employer of choice’ by cultivating a professional, innovative and positive work environment. We will explore the role of leadership, flexible work practices, management of business risks and positive team engagement to drive outstanding workplace culture and employee retention. 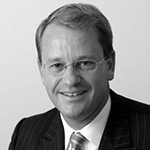 Grant Holley was a member of the Victorian Bar between 1986 and commencing Holley Nethercote/Compact in March 1995. 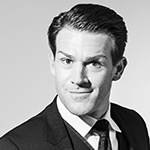 Grant’s practice has been predominantly in commercial law. He has represented many medium to large corporations in courts and tribunals at all levels. Grant holds degrees in economics and law from Monash University, and a Master of Laws from the University of Melbourne. He is a fellow of the Institute of Arbitrators and Mediators Australia, and is a graded arbitrator and accredited mediator. A contributing author to many legal publications and journals. 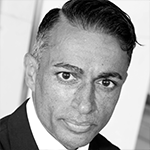 A CFP® professional and SMSF Specialist Advisor™, Hari has been a financial services professional for nearly 30 years (including being a licensed Financial Planner since 2004). He runs/owns a boutique practice in suburban Melbourne specialising in inter generational, multi-generational, family wealth management. Having also completed his double degree in Accouting/Banking & Finance (amongst many other qualifications), Hari regularly conducts lectures at both Monash and LaTrobe universities, as well as running ‘Introduction to SMSF’ courses at Holmesglen TAFE. He is an active supporter of a number of charities and ‘not for profit’ organisations (Future2 Foundation, TLC For Kids, Four Wheel Drive Victoria to name but a few), as well as being a keen 4WD’er, Camper and Fishing enthusiast – including being a Nationally Accredited 4WD Trainer & Instructor. In his spare time, he is currently studying a Masters of Estate Planning, is a State Councillor (Vic) for the Finance Brokers Association of Australia, Mentoring Program Co-Ordinator for the MDRT Victoria Chapter, and co-ordinates Financial Planning Study Tours bringing advisers closer together from all over the globe. 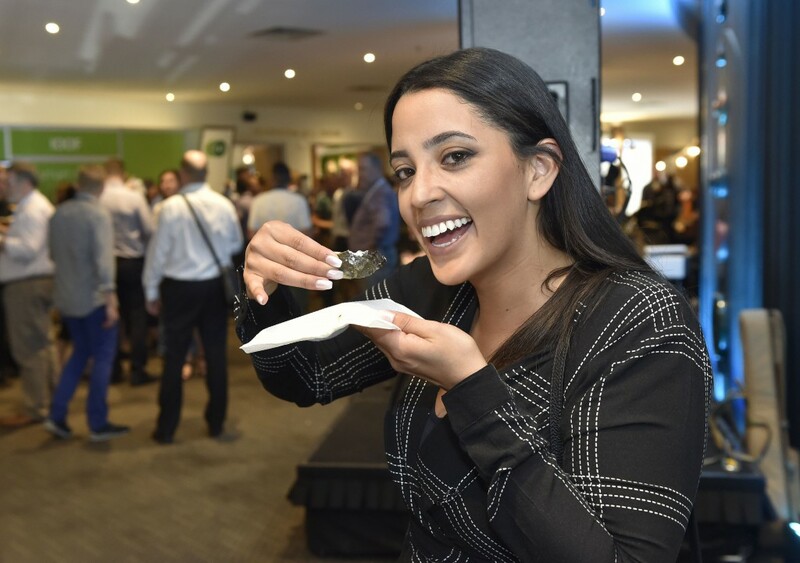 Hari was the runner up in the 2012 Financial Planning Association of Australia's (FPA) ‘Future2 Community Services’ award, as well as being honoured with the FPA's highest honour, the ‘Distinguished Service Award’ in the same year. 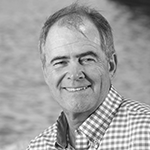 Ian MacRitchie has been a financial advisor since 1978 working in London and South Africa. He holds a Bachelor of Commerce Degree with a Major in Accounting. Other post graduate qualifications include Accounting, a Higher Diploma in Tax Law and a Diploma in Financial Planning and is a Certified Financial Planner (CFP). Ian is an Associate of the Chartered Institute of Secretaries and Administrators. He has been a member of The Financial Planning Association since inception. In 2014 Ian was awarded the ACU highest award Doctor of the University (honoris causa). Ian was head hunted in 1986 to set up a new financial planning practice in Sydney by a LSE quoted financial services organization. He brought trauma cover to Australia. Succession planning – buy, scale or sell? Succession planning is about reviewing your business model. It is purported that soon it will be a buyer’s market focusing on Earnings Before Interest and Tax (EBIT) rather than multiple. Many of us have never been through a valuation process or thought about how to prepare well for succession. Facilitated by a business consultant, valuation expert and practitioner, this workshop will provide guidance on the steps, processes, attributes and outcomes that will generate a premium valuation as financial products are separated from advice, as pricing is based upon value rather than effort or product, and as your clients become increasingly price aware about on-going value. 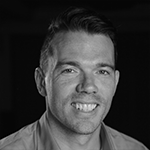 Jason Andriessen is Managing Director of CoreData, a global research and data analytics consultancy specialising in financial services. 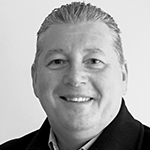 He has over twenty years' experience across financial advice, licensee leadership, marketing and product management. Jason is fascinated by how everyday people make financial decisions. Human beings don't make rational decisions; they carry biases and take mental shortcuts that advisers need to understand. This workshop will equip you to better understand your compliance obligations, demonstrate how your best interest duties have been met, develop evidence documented processes for your file notes, prepare compliant, efficient and engaging SOAs and conduct compliant and efficient ongoing reviews that will be of value to your clients. Jim Stackpool is one of Australia’s foremost authorities on the topic of building professional financial advice firms. 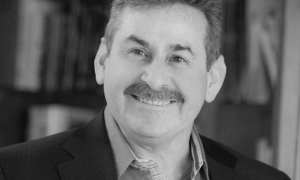 Consulting, training and advising financial services firms since 1989, has meant Jim has advised throughout all major institutions in the product-based industry and all variety of firms in the services-based profession. He has authored ten White Papers on future advisory trends and created the first and still largest benchmarking database of advisory firm performance in Australia – the Dashboard Report. For last three years he has been working with ACCC and IP Australia to create Australia’s first certified Standard for Professional Advice – advice without any real or perceived conflict, priced purely on the value provided each year to each client. This standard is known as Certainty Advice. Joanne Dale commenced her career in financial services in 2003. With over a decade of experience in the financial services industry, having worked in a small boutique financial planning firm within client services and paraplanning roles, Joanne joined Tupicoffs in 2014. Joanne has completed a Bachelor of Commerce in Financial Planning and Accounting and is currently undertaking the CERTIFIED FINANCIAL PLANNER® certification program. 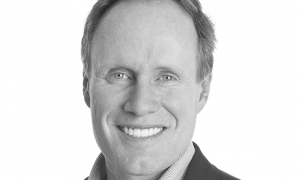 Jonathan Hoyle is the CEO of multi-award winning wealth management group, Stanford Brown. Privately owned, with its own licence and some 50 staff, Stanford Brown has served high net worth families in Sydney and Melbourne for over three decades. The company operates in four business lines – Wealth Management, Personal Insurance and Mortgage Broking, as well as consulting to a variety of blue-chip companies on their Employee Benefits packages. Stanford Brown recently took out 13th place as a Great Place to work in Australia under 100 employees. Jonathan is passionate about building a great workplace culture and providing Stanford Brown’s clients with heroic service. Julie Berry is a registered tax (financial) adviser and a certified financial planner having practised for more than 29 years. She is the chair of Firm for 360 Financial Advantage and a member of Countplus. 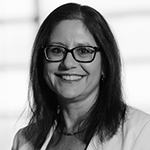 Julie is also the chair of the NSW Mid North Coast Chapter of the Financial Planning Association of Australia (FPA) and is a graduate of the Australian Institute of Company Directors. Previously she served as both the chair and board member of the FPA and as the chair and board member of the Institute of Financial Advisers in New Zealand. She is also a life member of the FPA and a recipient of the FPA Distinguished Service Award. Julie was appointed to the Board in December 2015 and reappointed in July 2017. June is an ethicist and a lawyer with a significant track record as an independent decision maker. She is well recognised for her work in developing, monitoring and enforcing integrity and professional frameworks across a diverse range of industries and professions, including professional standards and business ethics in the financial sector. In her current roles as the Lead Ombudsman, Superannuation, Investments & Advice for Australian Financial Complaints Authority (AFCA) and Lead Ombudsman, Investments & Advice at Financial Ombudsman Service (FOS), June provides technical and professional leadership for decision-making in areas of domain expertise including financial advice, managed investments, life insurance, stockbroking and derivatives FX/CFD trading, superannuation, timeshare, fund managers and traditional trustees. 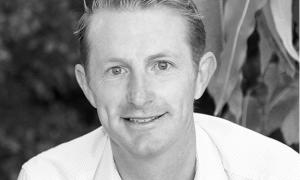 Justin Hooper founded SentinelWealthe in 2005 after he had migrated with his wife and children from South Africa. He had built up a very successful Financial Services practice in South Africa, was a renowned speaker on Financial Planning and strategy and wrote a highly regarded weekly column for the country’s most influential newspaper. But he was also a keen student of the deep motivators that influence our lives and made a life choice that for him and his young family greater contentment and happiness would be found in Australia. It is this understanding of why we do things - matched with a rigorous focus on how to unlock our financial potential - that has been one of the key reasons for his and his company’s continued success. Justin’s interest in the role money plays in our lives and our attitudes to it led him to the USA to study with George Kinder, one of the forefathers of Life Planning. Today Justin is one of only two Registered Life Planners in Australia. Justin developed the Seantos Process which is a unique step-by-step approach to integrating life and money. 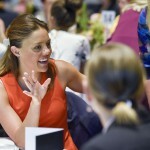 Kate is a Senior Manager in ASIC's Financial Advisers stakeholder team. 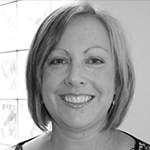 Kate is based in Melbourne and has been a part of the Financial Advisers team since its formation in 2008. 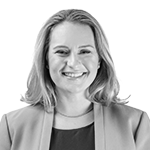 Prior to this role, Kate was the Technical Adviser to the Deputy Chairman of ASIC and has also held roles in the corporate finance and policy teams. Kate has a considerable amount of experience in financial services regulation. Kate’s more recent focus has been on digital advice and SMSF advice. Previously, Kate worked as a solicitor in private legal practice in corporate finance. Kearsten James has worked in the financial planning industry for over 14 years working both in client facing roles presenting advice, and behind the scenes constructing it. With this experience working with clients came an appreciation for what a financial planner values in a quality SOA. Writing every SOA with the client, planner, licensee and regulator front of mind, Kearsten tailors each document to the varying audience and works closely with the financial planners to develop bespoke strategies for each client. In recognition of her contribution to the financial planning profession, Kearsten was awarded the Money Management Paraplanner of the Year in 2016. 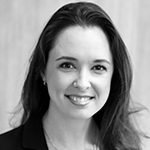 Leah is a Senior Specialist in ASIC's Financial Advisers stakeholder team. 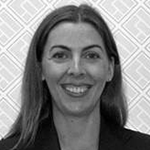 Leah is based in Brisbane and has been part of the Financial Advisers team since joining ASIC in 2009. 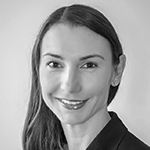 Leah is a Certified Financial Planner and prior to joining ASIC, Leah worked as a financial adviser. 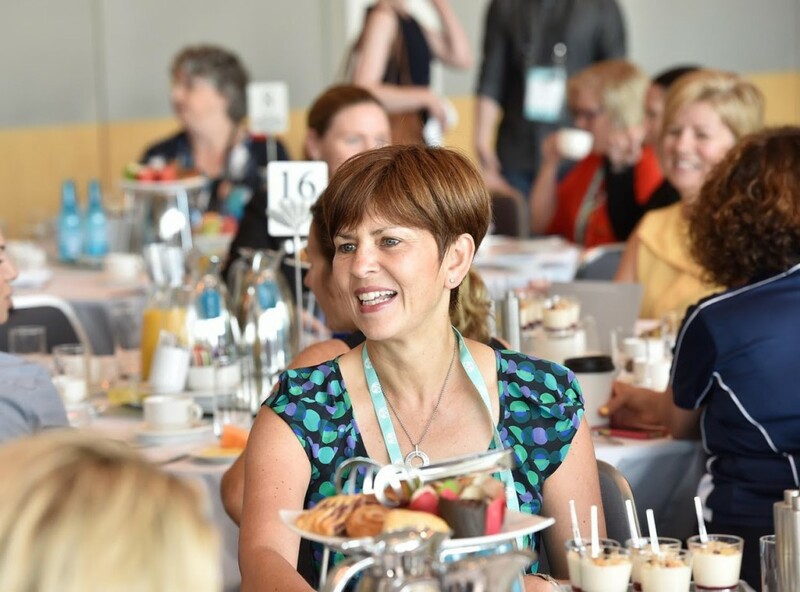 Louise is a co-founder of Aged Care Steps, a business supporting advice professionals with understanding how to provide aged care advice for clients. This is achieved through training workshops and subscriptions to a range of practical tools. 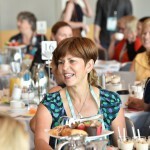 Her experience covers a wide range of topics from superannuation to social security but with over 20 years of working with aged care legislation, Louise has forged a reputation as one of the pre-eminent experts in this field. Louise has had significant involvement within the financial planning industry and has been awarded the Financial Planning Association’s (FPA) Distinguished Service Award. 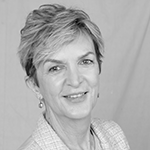 Louise is currently a member of the Aged Care Financing Authority (ACFA). This committee provides independent advice to the government on funding and financing issues. Michael Wesley is Professor, International Affairs and Dean, College of Asia and the Pacific at Australian National University. His book, There Goes the Neighbourhood: Australia and the Rise of Asia won the 2011 John Button Prize for the best writing on Australian politics and public policy. His most recent book is Restless Continent: Wealth, Rivalry and Asia’s New Geopolitics. Michael will look at the sometimes perverse connections between the immediate and the strategic, and how we can be better professional and citizens by keeping an eye on the big picture too. All of us take pride in doing our jobs well, in getting the small things right. But too often this blinds us to what’s happening in the bigger picture. The great disruptions that are occurring in our world today - ongoing global economic turbulence, the rise of nationalist economic policies, crises of energy and climate – have occurred despite our societies’ ability to do the small things better and better. 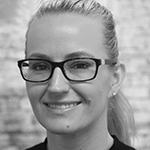 Nadia Docker has developed a broad skill base including as a consultant for independent self-licensed advisers, for a licensee with a specialist focus on risk and as Business Development Manager for a financial planning software provider. Her key experiences include compliance consulting, mentoring new advisers on advice, business excellence and best practice standards, running remediation programs for advisers and advising on improving efficiencies in back office administration. 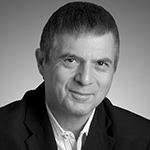 Dr Norman Chorn is a strategy and organisation development consultant and Director of The BrainLink Group. Norman works in Australia, NZ, UK and South Africa and is a visiting professor at several leading graduate schools of management in Australia and overseas. He is the successful author of Strategic Alignment, the 2nd edition of which has recently been published. His new book, The Future Builders, is due for publication at the end of the year. Norman believes that we need to find new ways of studying and understanding the future with all its inherent uncertainties and risk - and then preparing ourselves for this uncertainty. The session will explore the five key signposts in building resilience, including the practice of scenario thinking. At a time of complexity legislative change in the financial planning sector, this workshops will explore new ways of thinking and understanding the future. 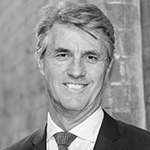 Peter Burgess is SuperConcept’s specialist on government policy, regulation and technical issues, and acts as SuperConcepts’ SMSF media spokesperson. 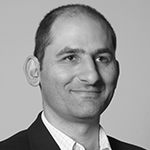 He has a strong reputation as an authority in SMSF technical matters and Government policy design. He is an adjunct lecturer with the University of Adelaide and is a widely published author and media commentator on SMSFs. Peter was awarded the SMSF Association’s Chairman’s Award in 2016. 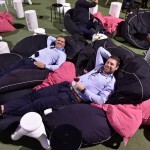 Peter Cashel has been a trader on the floor of the Sydney Futures Exchange and a senior investigator with the Australian Securities and Investments Commission (ASIC). In his current role since 2011, he is responsible for conducting licensee and representative compliance reviews, assisting businesses prepare and lodge Australian Financial Services licence applications and assisting new licensees establish compliant businesses. 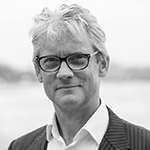 In his current role, Peter Gommers CFP® works with self-employed advice practitioners helping them navigate the changing waters of advice delivery. As an industry observer since the late 1970’s, he has seen many cycles of change. 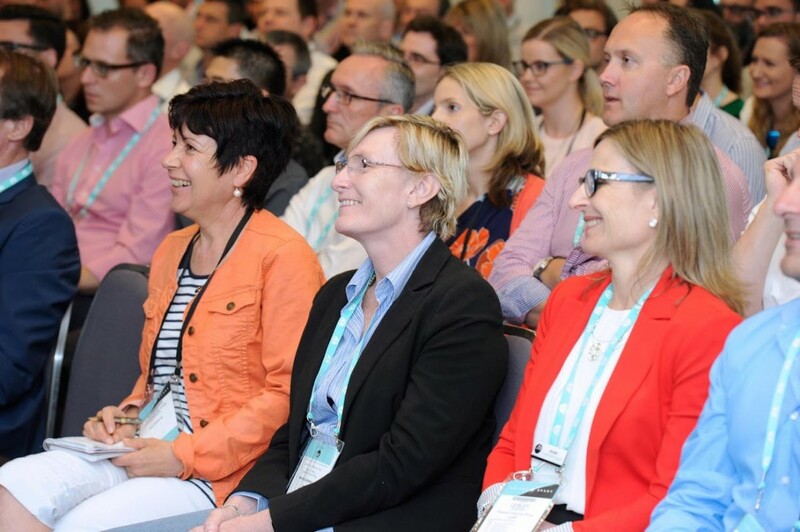 His tenure has given him the opportunity to observe and dissect advice practices of varied shapes and sizes, including those associated with large and small Licensees, as well as own AFSL’s and Franchise operations within Australia and abroad. Peter has regularly been involved in overseas study tours to discover international best practice behaviors of small and large wealth management firms throughout USA and Canada and he recently completed an in residence program at Stanford University. 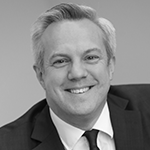 Peter Townsend is a business lawyer with over 30 years’ experience in providing legal advice to participants in the financial planning and securities industries. Peter has been an FPA member for 23 years. He was a founding member of the International Association for Financial Planning (IAFP) in Australia and in the early 1990’s he assisted with the design and implementation of the merger of the IAFP and Australian Society of Investment and Financial Advisers (ASIFA) to create the FPA. He was a director of the RetireInvest Group of Companies for 10 years and helped to structure RetireInvest as the first financial planning franchise network in Australia. Peter will lead a high-level workshop covering issues such as the recent SMSF member limit increase to six people, binding death benefit nominations and consequences when these are ineffectively completed. Through case studies, Peter will explore how best to manage the process of working with an estate planning lawyer. 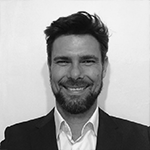 Peter joined the financial planning profession some 13 years ago having commenced working as a junior paraplanner at the age of 19 whilst completing his business degree majoring in Financial Planning. Since that time, Peter has had experience working in paraplanning hubs, banking, mid-tier accounting businesses with financial planning arms and smaller 1-2 adviser practices, of which the roles included Paraplanner, Senior Paraplanner, Associate Adviser and Servicing Adviser. Since full time advising over the last 3 years, Peter has been able to see and experience the challenges and strengths of transitioning to advising from a paraplanning background. Peter considers the industry to be very diverse in terms of the types of businesses, services and staff structure, so is looking forward to showcasing and discussing some general considerations and planning for those wishing to take the step into advising in different forms. 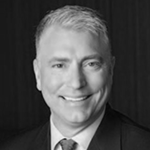 Rhett Das’ diverse career spans the legal and financial services industries. 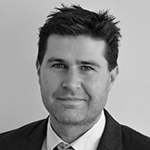 He has worked as a solicitor in private practice, an investigator for the Australian Competition and Consumer Commission (ACCC), a panel case manager for the Financial Ombudsman Service (FOS) and the Head of Compliance for an ASX listed company that holds two AFS licences. Rhett now runs his own legal and compliance businesses called Integrity Compliance and Integrity Legal who provide support to AFS Licensees of all shapes and sizes. He is also an ASIC appointed independent expert. Rhett has a unique skillset and a deep understanding of the balance needed to achieve both regulatory and commercial outcomes. Robert DeChellis is responsible for uniting strategic relationships, technology and intellectual capital to identify uncommon financial solutions and thought leadership. DeChellis collaborates with the global family of Allianz companies as well as outside partners to address the growing demand for holistic financial advice. Most recently, DeChellis was President and CEO of Allianz Life Financial Services, LLC. Prior to joining Allianz Life in 2006, DeChellis was EVP of Travelers Life & Annuity’s retail annuities division. Before that, he served as EVP and national sales manager for Jackson National Life Distributors Inc, managed sales for a broad range of product lines and distribution channels at Goldman Sachs, and was regional manager for Lord Albert & Co. He is also currently serving as Chairman of the Insured Retirement Institute. 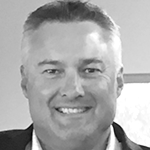 As Executive Director of Bstar business advisory solutions, Scott Monotti is dedicated to assisting Bstar’s Alliance Partners, including accountants and financial advisers, to deliver business solutions to their SME customers via the Bstar viba Alliance Partner program. 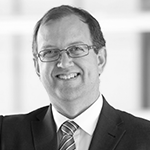 Steve Prendeville has enjoyed a successful 30 plus year career in financial services. He began his career in New Zealand, then England working first in banking and then in stock broking. In 1987, he became Australia’s youngest certified investment planner (ACIP). Over the last 15 years’ experience Steve has facilitated more Financial Planning business sales in Australia than any other individual in Australia. Steve has run, managed and sold national dealer groups, financial planning and multi-disciplined businesses in Australia and thus his valuation work is not just theoretical but overlaid with actual business sales that he has personally facilitated. 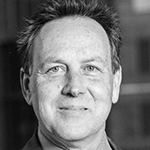 Stewart Bell is a leading consultant on the intersection between advisory business models, technology and helping experts commercialise their know-how. He has been consulting and coaching within financial services for two decades, and during that time has written two books, launched at least six programs and coached well over 400 firms directly. 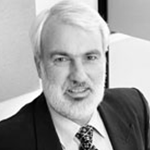 Stewart commenced as a financial planner with GIO Australia before becoming Director/ Partner , RetireInvest Ballarat in 1997. Over the years, he continued to grow the practice organically until employing another Senior Adviser in 2007. In 2008, he commenced his succession planning strategy. By 2016, he had decided to exit the financial planning space entirely and completed his succession planning strategy. He spent 2017 dedicated to a communication strategy to advise his clients of his decision to explore his next chapter away from financial planning. 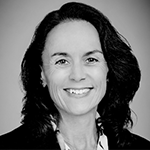 Sue Herrald has over 27 years’ experience in financial services and has been with IOOF as a dedicated financial planner and head of the Private Client division. She is now the IOOF WealthBuilder Investment Specialist, dedicated to helping financial advisers use investment bonds to fulfil a number of financial planning strategy needs. 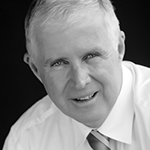 Ted Voges has a background in forensic accounting and has been a chartered accountant for more than 20 years. He has seen at first hand the disastrous outcomes that a lack of planning can have and therefore deeply understands the value of good advice. Raising the financial literacy of Australians and improving the quality of financial advice is what he is most passionate about. With nearly 2 million SMEs in Australia, planners can add real value in providing SME owners with succession solutions. 85% of SME owners do not have an exit plan and fail to plan for an involuntary exit. This workshop will demonstrate how to asset the insurance needs of your business clients and how to work with experts to secure appropriate buy/ sell arrangements. Terry Bell has spent the majority of his working career involved in the distribution and marketing of financial services. 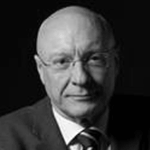 With over 30 years in the financial services industry, Terry specialises in advising leading companies on the distribution of their products and services. He has considerable knowledge and capability working in independent intermediary distribution channels, in particular funds management and life insurance. He is one of the founding partners of Business Health, establishing this company in 2000. It is now considered as one of Australia’s pre-eminent practice management groups. 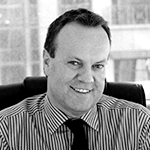 Tim Lane is a leading chartered accountant who specialises in business advisory work and joined Chris Wrightson and the team at Centurion Market Makers in 2017. 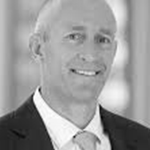 He has extensive experience in the financial planning Industry, working over three decades in all of Australia’s capital cities. Tim’s work is focused on solving the following problems for financial planners: business sale strategies; succession planning for shareholders; business valuation issues and tax strategy and optimal structure. Tony Sandercock has been a Certified Financial Planner since 1998 and is owner of advice firm, wetalkmoney. He has built a 30-year career around a client first ethos. A staunch advocate for fee-for-service advice, Tony has mentored hundreds of business owners in building “client first” firms. Tony is the 2016 FPA Certified Financial Planner Professional of the Year. 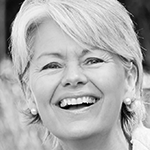 Vicki Writer coaches in the areas of motivation and peak performance and is author of Tell Your Life Where To Go and the founder and creator of the 7 stage ‘whole of life’ coaching program – The 360° SolutionTM ‘Fit for Life’ Program. Vicki was the first Australian female to speak on the main platform for Million Dollar Round Table – the most prestigious worldwide organization for financial services professionals. Vicki will explain that by understanding the internal unconscious filters that impact our perceptions on the world and how we make sense of what is going on around us, we become increasingly empowered to take personal control and transform our results. Discover how to optimise your own thinking and your impact on the thinking of others to communicate more effectively with your clients, your staff and your peers and completely transform the results you produce. Vincent will share how his practice custom built and implemented a comprehensive financial planning and practice management software program. He will provide valuable insight on how technology can empower you to make your practice more efficient and profitable including benefits and potential pitfalls of introducing new technology, the mistakes to avoid, how to define your selection criteria and to successfully implement the right tools to unlock new efficiencies in your practice. Technical capability and critical thinking in financial planning specialty areas. Engaging and developing your clients and staff. Improving the operational side of your practice. Get motivated and nurture your mind and body. Program is correct at time of publication, but may be subject to change. 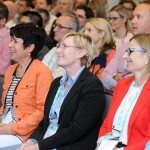 Check out some of the highlights from last year’s FPA Congress in Hobart. 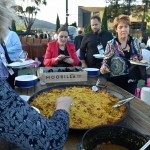 Grow your network, deepen your knowledge and enjoy a break. FPA Professional Practice Workshop: how sale ready is your business? This three-hour workshop brings together business consultants who specialise in succession planning and practitioners who will share their knowledge of transitioning their businesses. This will be a dynamic, practical workshop that will assist you to understand the commercial value and value drivers of a financial planning practice, as well as prepare you to be ‘sale ready at any stage of your business’ growth. Complimentary session. This workshop will connect paraplanners as well as anyone new to the financial services industry with their career potential. It’s also a great opportunity to share and connect with your peers. Complimentary session. 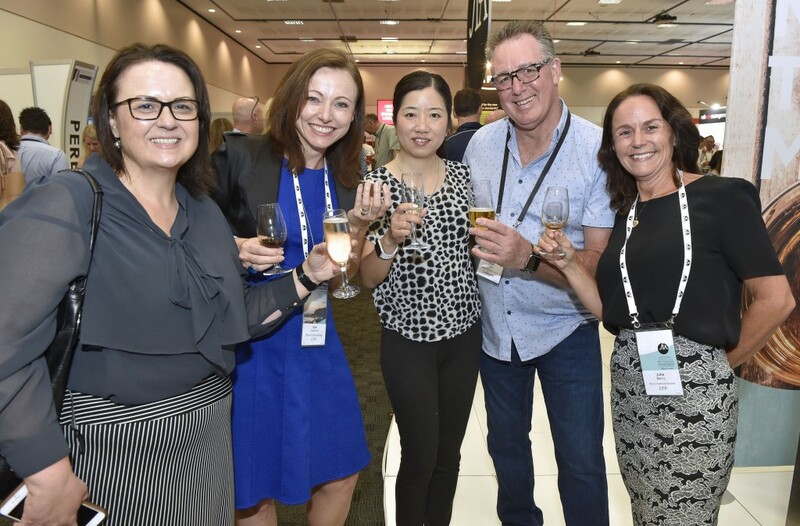 Spend the evening connecting with colleagues and enjoy complimentary drinks and canapes as we celebrate the opening of the 2018 Congress and Expo. 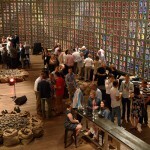 Don’t miss the social highlight of the FPA Congress! Get on board - the evening is a fantastic opportunity for you to connect with colleagues, and enjoy an informal, fun evening. You’ll enjoy spectacular views of Sydney Harbour and a great program of entertainment…with a few surprises along the way! Rock the dance floor to your favourite hits performed by an eight-piece band or chill in the BT Lounge and piano bar. 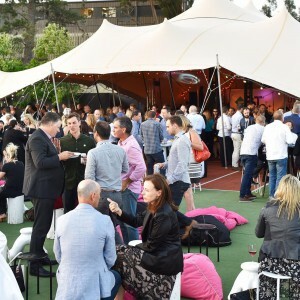 The delicious food options will satisfy every appetite with chefs carving straight off the BBQ or you can indulge in many seaside delights, from the fish and chip stand to a pop up sushi bar – all accompanied by a great selection of wine and beer (of course!). Connect with your peers and celebrate your support of Future2’s grant program. With live performance by John Paul Young and The Allstars Band and special appearance by Alex Sheen, founder of Because I said I would. The evening is a stand-up, cocktail style event. Tickets $150 per head. Select from these Congress ticket and social function options. 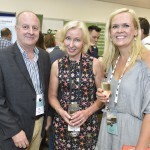 ^ Includes FPA Allied Professional membership from Dec 2018 – 30 June 2019. FPA will contact you after Congress to complete your member application. * Open to FPA Student Members who are full-time university students only. 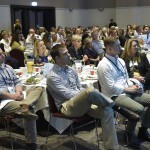 # Discounted ticket for partner/spouse includes welcome reception and keynote sessions. Congress tickets do not include social event tickets or partner tickets. FPA has the right to review and confirm attendance. 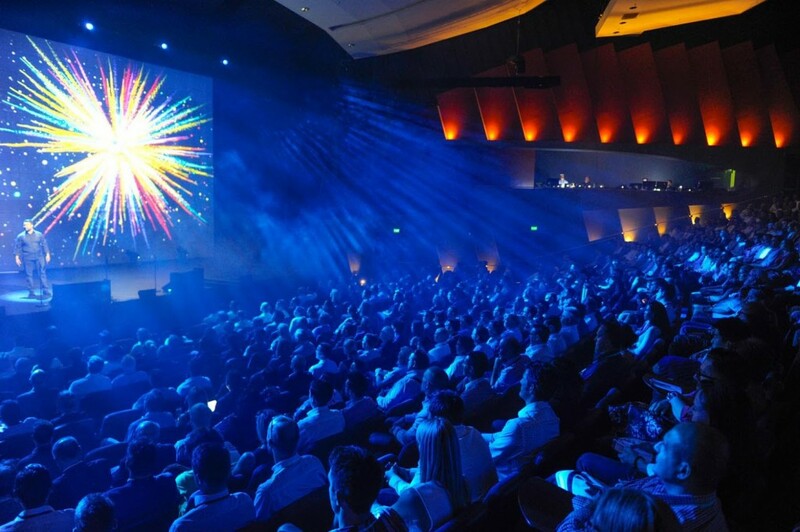 ICC Sydney is Australia’s premier convention, exhibition and entertainment precinct. Featuring a striking contemporary design, state-of-the-art technology and leading facilities, the world class venue provides the ultimate in quality, choice and flexibility for collaboration and innovation. 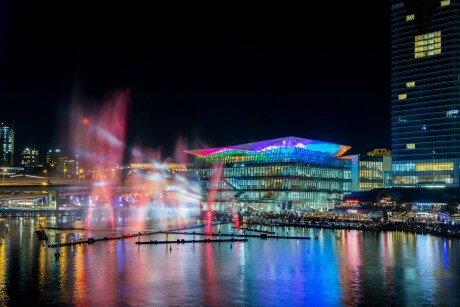 Situated in the vibrant Darling Harbour waterfront precinct and adjacent to the financial services hub at Barangaroo, ICC Sydney is easily accessible by light rail and ferry and is a short 10-minute walk from Central and Town Hall train stations. It is 8kms from Sydney airport. 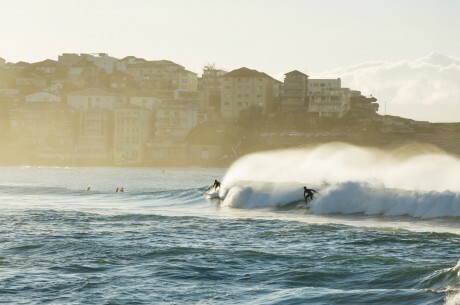 Enjoy the sun at Bondi Beach and follow the coastal walk to Coogee. Secure your hotel when you complete your Congress registration. *Rate is room only, no breakfast included. Cancellation fees apply within 30 days before arrival. *Rate includes breakfast for up to two people in Studio and 1 Bedroom Apartments, and up to 4 people in 2 Bedroom Apartments. Cancellation fees apply within 30 days before arrival. *Rate includes one buffet breakfast. Cancellation fees apply within 60 days before arrival. 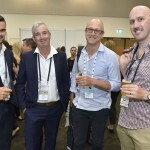 WHO ATTENDS THE FPA PROFESSIONALS CONGRESS? Financial planners and those working in the financial planning profession from across Australia, including practice managers, paraplanners and support staff. Both FPA members and non-members attend. Wednesday 21 November – Friday 23 November 2018. I AM TRAVELLING FROM INTERSTATE AND I NEED TO BOOK MY FLIGHTS, HOW DO I DO THIS? Please visit an airline website or book with your travel agent. I HAVE REGISTERED TO ATTEND BUT NOW I NEED TO CANCEL - HOW CAN I DO THIS? You can cancel your registration by emailing [email protected] by 5.00pm Friday 19 October 2018 (subject to a $200 administration fee). After such date, refunds will only be made at the discretion of the organising committee. Please refer to the cancellation policy in the Terms and Conditions. WHEN DOES EARLY BIRD FINISH? Early Bird offer ends on 31 August 2018. IS THERE PARKING AVAILABLE AT THE VENUE? Yes, ICC Sydney operates two 24-hour car parking stations. Visit ICC Sydney for pricing, maps and further information. HOW MANY CPD HOURS WILL I RECEIVE FOR ATTENDING THE CONGRESS? You can earn up to 15 CPD hours by attending the 2018 FPA Professionals Congress. To be eligible to receive qualifying CPD hours for attendance at workshops, delegates must register by ‘tapping in’ to each workshop and attend a minimum of 80% of the workshop. HOW DO I BECOME A SPONSOR OR EXHIBITOR? FPA is offering a huge range of partnership opportunities in relation to Congress 2018. 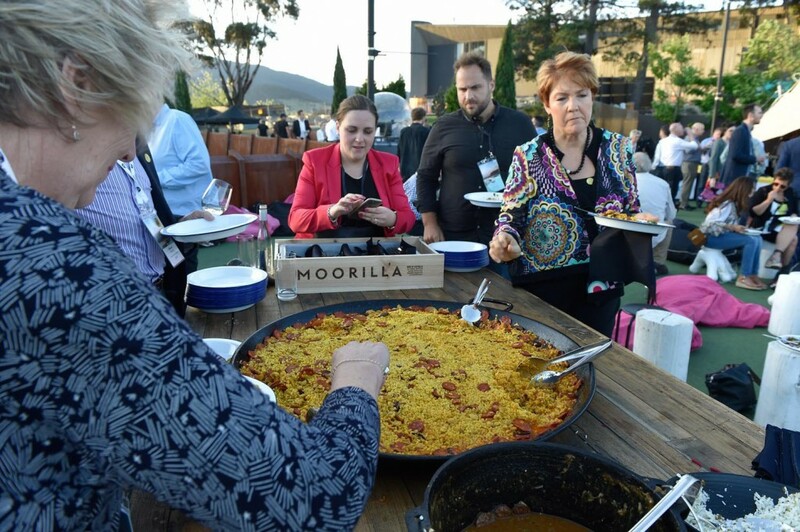 Exhibitors and sponsors are an integral part of the FPA Congress delegate experience. 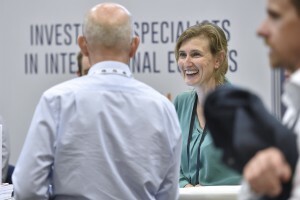 As an exhibitor or sponsor at the event your presence will be showcased to over 1,000 financial planning professionals from across Australia. You will also receive the benefits of having your brand showcased across the year to our 13,000-strong FPA membership. Disclaimer: By registering for the FPA Professionals Congress 2018, delegates grant permission to the Financial Planning Association, its agents and others working under its authority to take and to have full and free use of video/photographs containing their image/likeness. It is understood that the Financial Planning Association may use these images for promotion, news, research, online, multimedia and/or educational purposes. Delegates agree that they are not entitled to remuneration, residuals, royalties or any other payment from the Financial Planning Association in respect of their image/likeness or its use. Attendees will be required to sign a media release prior to any interviews that may be conducted. 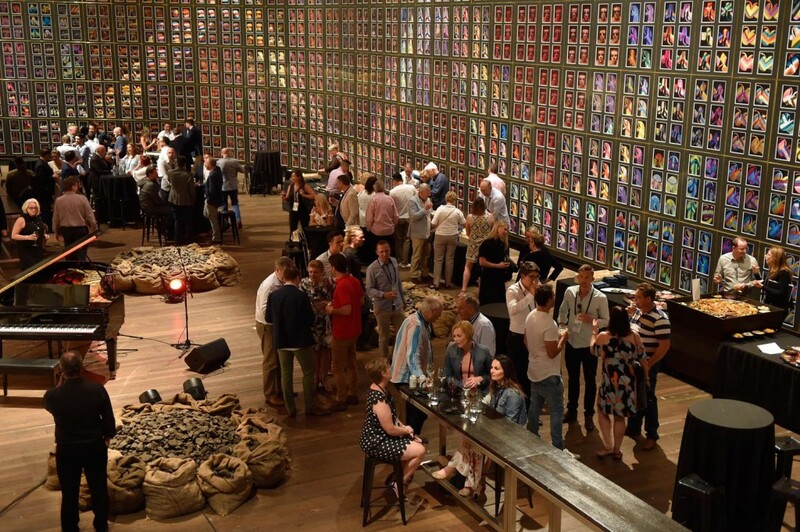 Don’t miss the social highlight of the FPA Congress! Get on board - the evening is a fantastic opportunity for you to connect with colleagues, and enjoy an informal, fun evening. You’ll enjoy spectacular views of Sydney Harbour and a great program of entertainment…with a few surprises along the way! Rock the dance floor to your favourite hits performed by an eight-piece band or chill in the BT Lounge and piano bar. The delicious food options will satisfy every appetite with chefs carving straight off the BBQ or you can indulge in many seaside delights, from the fish and chip stand to a pop up sushi bar – all accompanied by a great selection of wine and beer (of course!). 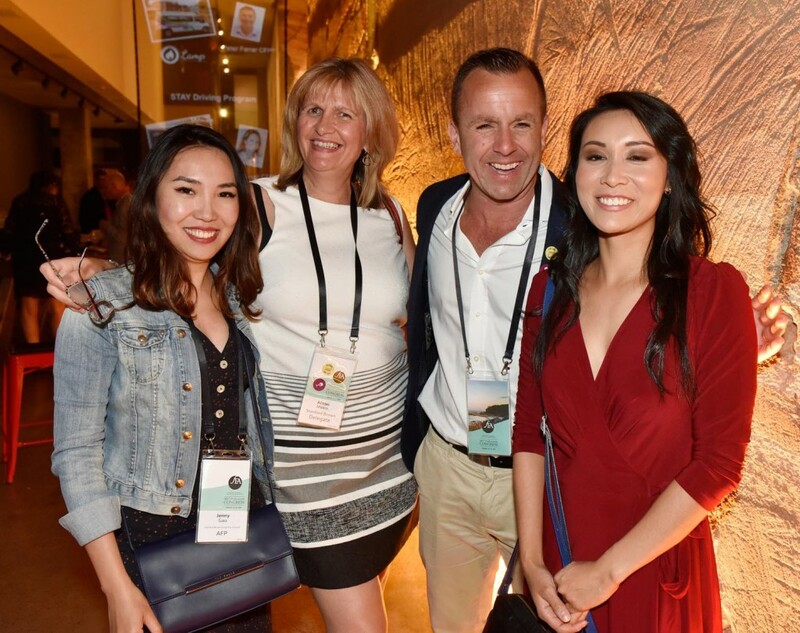 Connect with your peers and celebrate your support of Future2’s grant program. The evening is a stand-up, cocktail style event. Don't miss out, book now!